What is the BAK difference? It is all about quality, engineering, and innovation. BAK Industries is the world’s leading innovator of truck bed and accessories. The brand offers a diversified array of hard folding truck bed covers, rolling bed covers, retractable bed covers, and rack integrated accessories for all types of import and domestic trucks. BAK utilizes the philosophy of engineering a bed cover that is an exact match to the requirements and capabilities of your truck. Not all truck owners are the same. Each bed cover or bed rack was designed for a specific need. The result is a bed cover that not only looks good but functions in a manner that is both safe and reliable. The most popular BAK hard folding truck bed cover is the BAKFlip G2, BAKFlip F1, and BAKFlip Fiber MAX. The covers are engineered using solid core aluminum panels that offers full bed access when you need it most. Best of all, the system requires no drilling and is designed to snap easily without damaging the paint and the body of your truck. The covers are backed by a 2-year warranty. The Revolver X2 is the hard rolling bed cover from BAK Industries. It is equipped with rotational locking rails and an aluminum roll-up cover that can be operated with one hand. The BAK Revolver X2 comes with a solid 3-year warranty. All BAK truck bed covers are proudly made in the USA and are offered with best-in-class warranties. Sam’s Motorsports is offering the BAK BackFlip VP, BackFlip X1, BAKFlip HD, BakFlip Fiber Max, and RollBak G2 tonneau cover at the lowest and most affordable prices. 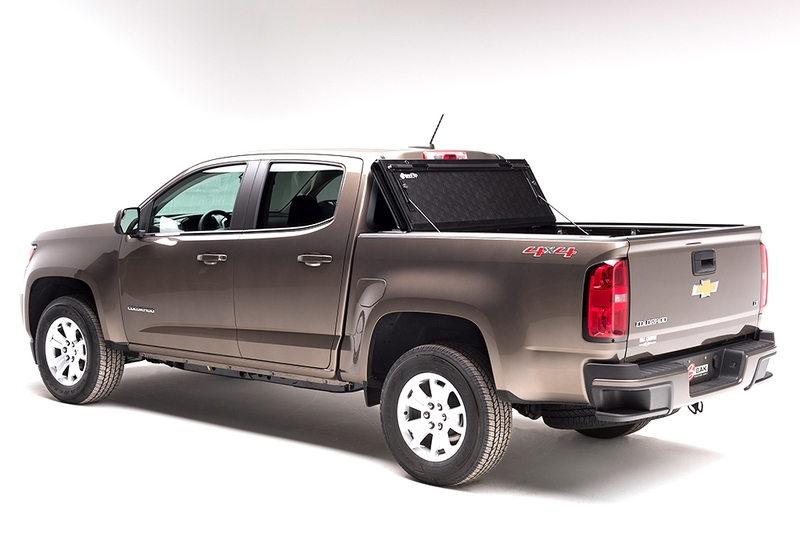 2015-2017 Chevrolet Colorado BAK BAKFlip G2 Tonneau Cover, The BAK BAKFlip G2 Tonneau Cover is designed specifically to fit your 2015-2017 Chevrolet Colorado without any modification to your beloved Chevrolet Colorado. 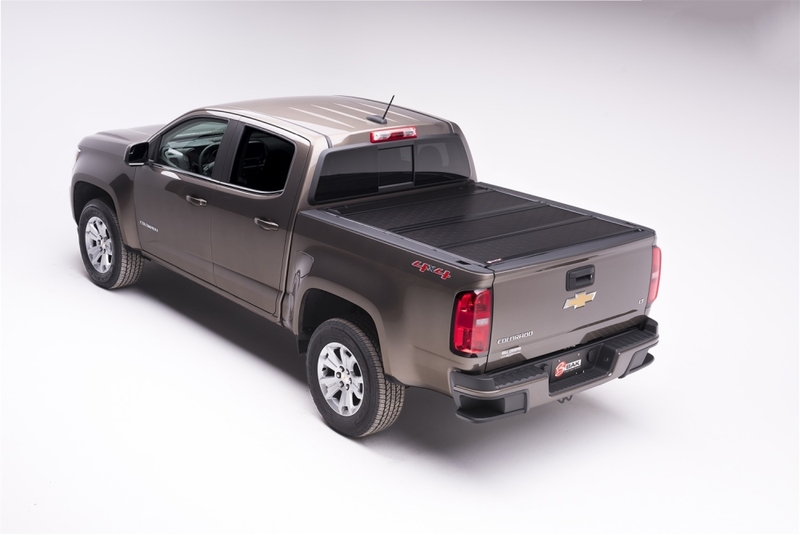 BAK BAKFlip G2 Tonneau Cover will also fit 2015-2017 GMC Canyon. If this BAK BAKFlip G2 Tonneau Cover is not exactly what you are looking for to accessories your , please don't give up just yet. Our catalog has huge variety of parts and accessories for your .